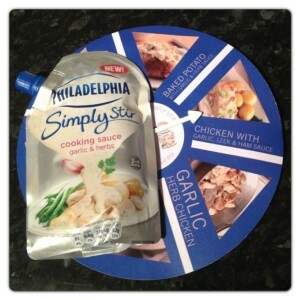 Philadelphia has recently launched a new product, a stir in sauce called “Simply Stir”. Philadelphia Simply Stir is a brand new range of ever-so-simple cooking sauces that taste absolutely delicious. Available from April in two mouth-watering Philadelphia flavours (Mushroom and Garlic & Herb), Simply Stir can take just a few minutes to make a tasty meal from pouch to plate and the end result is always smooth, creamy and fantastically Philly! Topped on chicken or added to a pasta dish, Simply Stir is bound to be your new fridge staple and can be found next to Philly in the chiller aisle at your local supermarket. We have recently made a delicious Creamy Mushroom Chicken with Philadelphia Simply Stir Mushroom and it was a very tasty! 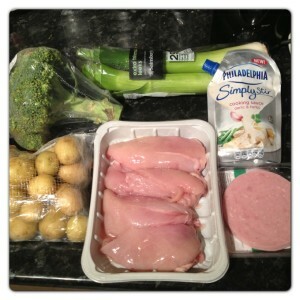 Preheat oven to Gas 6, 200 C. Place the chicken breasts onto a lightly oiled baking tray and cook in the oven for 20 minutes until lightly browned and the juices run clear when tested with a knife. Boil the new potatoes for 8-10 minutes until tender, drain. Cook the broccoli florets in boiling water until tender. 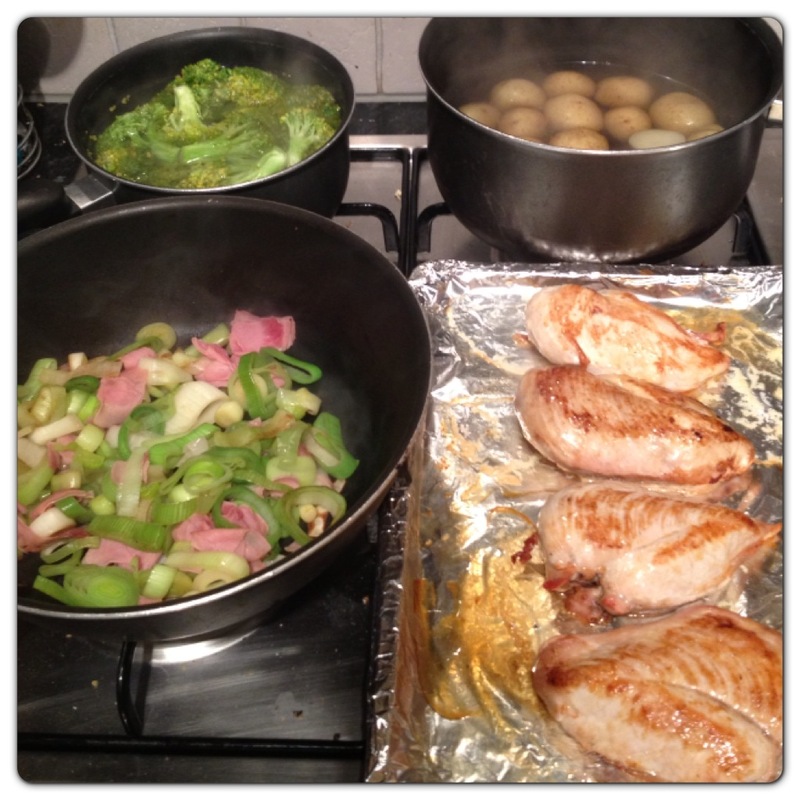 Heat the remaining oil in a pan and lightly cook the leeks and ham for 2-3 minutes until the leeks soften. Reduce the heat and add the Simply Stir, heating through for 2-3 minutes. Serve the sauce over the chicken with the broccoli and potatoes. Just like the Creamy Mushroom Chicken, the Chicken with Leek and Ham sauce was easily prepared and cooked, it was made really quickly and the final result was great. 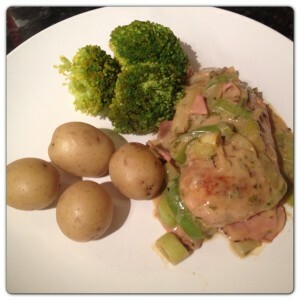 We all enjoyed our meal, the garlic and herb sauce complimented the chicken nicely and the meal was very tasty. 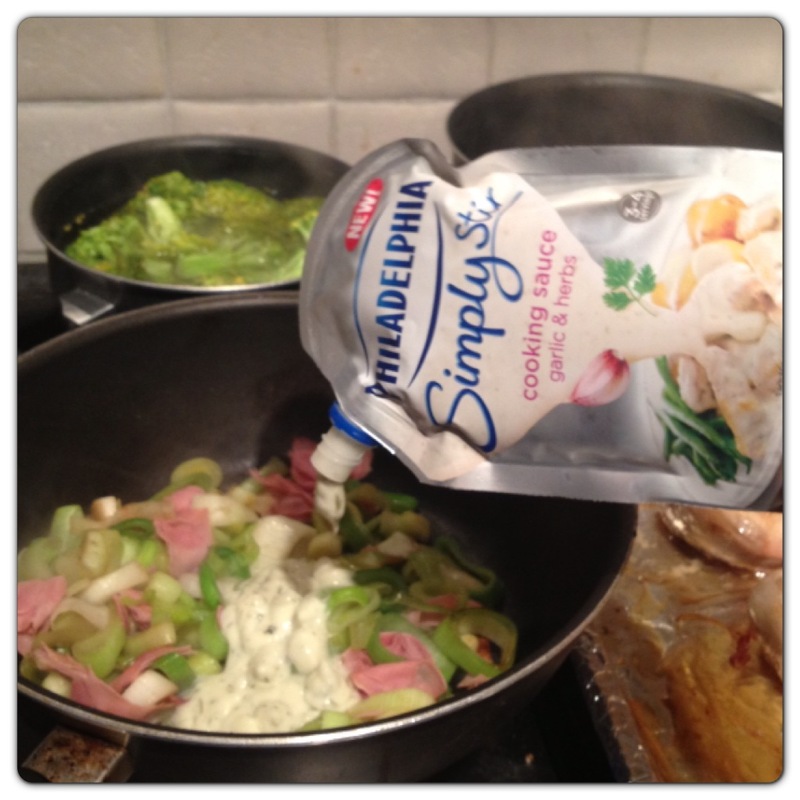 After trying both Philadelphia Simply Stir flavours, we are impressed with how much taste it adds to the meal. We will be buying more on our next trip to the supermarket! 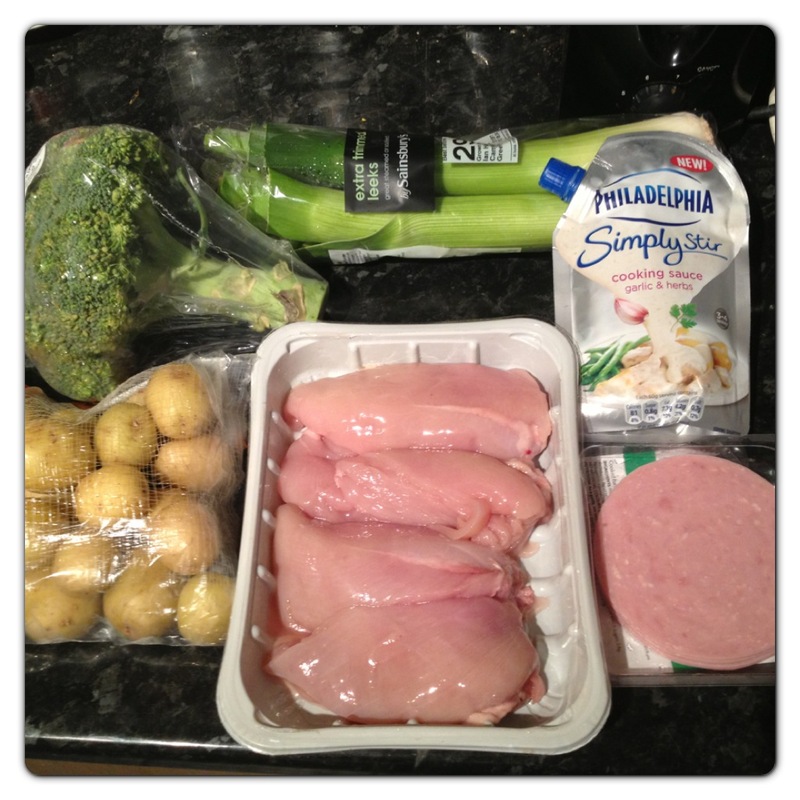 11 Responses to "Philadelphia Simply Stir: Chicken with Leek and Ham Sauce Recipe"
This sounds great, I’ll have to try it out! Like your other recipes it’s so easy and I can imagine it would be great served on pasta. So easy and so handy when you have kids. Thanks. That looks like a really tasty but easy dish.